Lee Ann Hales and Viva. Lee Ann Hales and Viva use an ATM. Viva. A LEGALLY blind woman left “gob-smacked” by a taxi driver’s refusal to allow her guide dog inside his taxi is determined to overcome the insult with education. 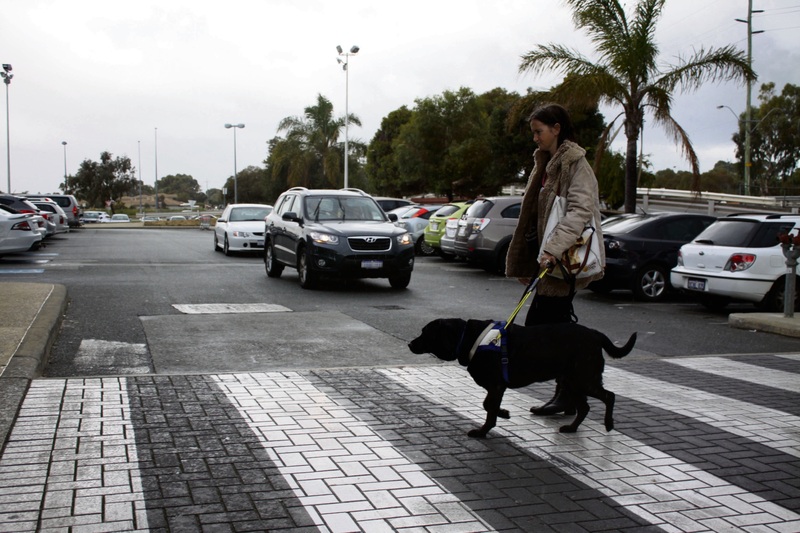 On June 28 Lee Ann Hales and her dog Viva approached a taxi parked at Rockingham Train Station. “I approached the taxi and driver said to me ‘I can’t have a dog in the car’. I said ‘excuse me?’, then said ‘if the owner knew I used the taxi for dogs I would lose my job,’ and ‘where would I put the dog?’,” she said. A couple of transit security guards ran to her defence telling the driver he could not refuse Ms Hales. Fortunately another Swan taxi driver witnessed the incident and took Ms Hales and Viva home. Ms Hales said the way to combat such instances was to ramp up an education campaign. Ms Hales has Schnyder crystalline corneal dystrophy, a rare form of corneal dystrophy that requires corneal transplants depending on how long each donor cornea lasts. She has had two since the age of 15. She has 15-20 per cent vision. “A couple of people do judge; they treat me as if I’m just putting it on,” Ms Hales said. She said another issue came from well-meaning people. “Please don’t touch my dog while she’s working, even making eye contact is distracting for her,” she said. Ms Hales prefers to only allow people she trusts around Viva. “It’s got to be a comfortable situation for Viva and for me,” she said. “I do appreciate more than I can say those who do ask if it is ok to pat Viva. It shows respect. Ms Hales wanted harsher penalties for those who refused assistance dogs. “I want this prosecuted . In this day and age we shouldn’t be refused because of our guide dogs,” she said. The Department of Transport were quick to investigate the matter after Ms Hales lodged a complaint. “Taxi drivers are required to carry guide dogs when requested and can be subject to fines of up to $1000 and a review of their suitability to drive if they refuse a fare due to this request,” a Transport spokeswoman said. “We treat complaints of this type very seriously and have previously prosecuted drivers for this type of offence. “We are aware of this specific incident, initiated an investigation (June 29)and have contacted the complainant. Seeing Eye Dog Australia provided Ms Hales with Viva. Chief instructor Patrick Glines said the dogs can go wherever their owner can. “Anywhere that a person is allowed, their Seeing Eye Dog is legally allowed to go with them,” he said. Swan Taxis has been contacted. 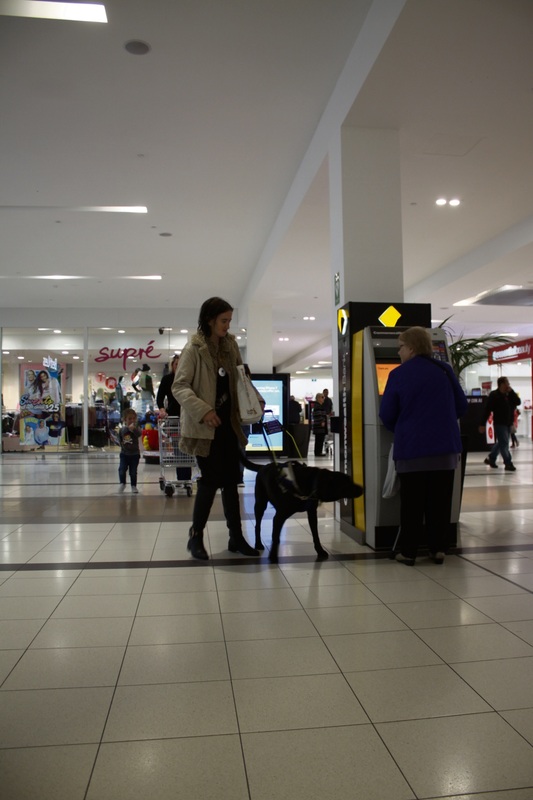 According to independent research conducted by Seeing Eye Dogs in 2015, an astonishing 55 per cent of clients have been refused access to a public space. It is a criminal offence under the Domestic Animals Act 2000 to refuse entry to or use of a public place, or to exclude or remove a person accompanied by an assistance animal from a public place. 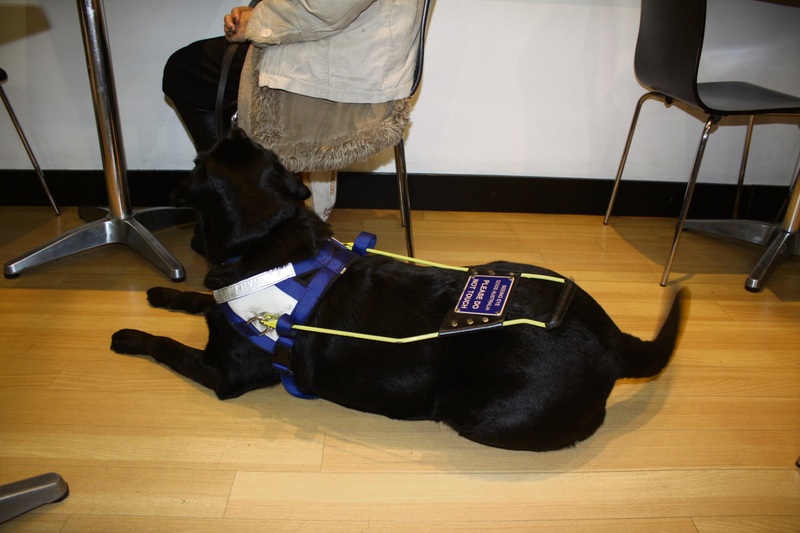 – Distract, feed or touch a working Seeing Eye Dog (in harness) without the handler’s permission. – Discriminate against a person because they are using a dog guide. – Offer assistance (if required) to a dog guide handler. – Walk about 1m ahead if the handler is instructing their dog to “follow” and continue talking to the person. – Alert the person to any unusual behaviour or physical appearance of their dog.